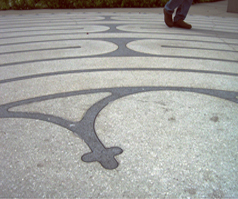 Grace Cathedral Labyrinth. Photo: alanlangdon/Flickr.com. Grace Cathedral is one block from the conference hotel.